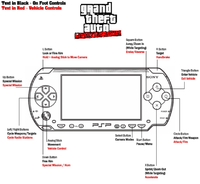 '''Grand Theft Auto: Liberty City Stories''' (also known as '''GTA LCS''' or '''GTA Liberty City Stories''') was the first [[Grand Theft Auto]] game released for the [[PlayStation Portable]] and the fifth game in the [[GTA III Era]], developed by [[Rockstar North]] and [[Rockstar Leeds]]. 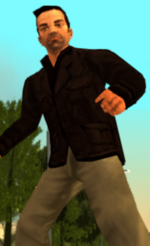 Set in [[Liberty City in GTA III Era|Liberty City]] in [], it is a prequel to the events of [[Grand Theft Auto Advance]] ([]) and [[Grand Theft Auto III]] ([]), the game was published and released by [[Rockstar Games]] on October 25, 2005 for PSP and November 4, 2005 in Uk. It was published and distributed by Capcom for the Japanese release. The game received positive reviews, with a 9.0/10 from IGN. In the United States, the PlayStation 2 version of Liberty City Stories had sold 1 million copies by February 6, 2007, as of December 27, 2007, the PSP version has sold 1.83 million copies and the PS2 version has sold 1.32 million in the United States alone. 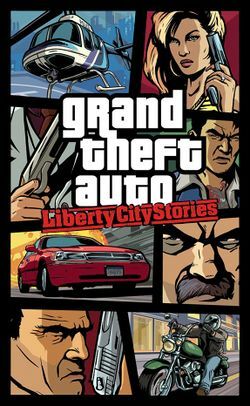 As of March 26, 2008Liberty City Stories has sold 8 million copies according to [[Take-Two Interactive]].